In the thriving world of entrepreneurship and innovation, Early Metrics is the first rating agency for start-ups and SMEs. 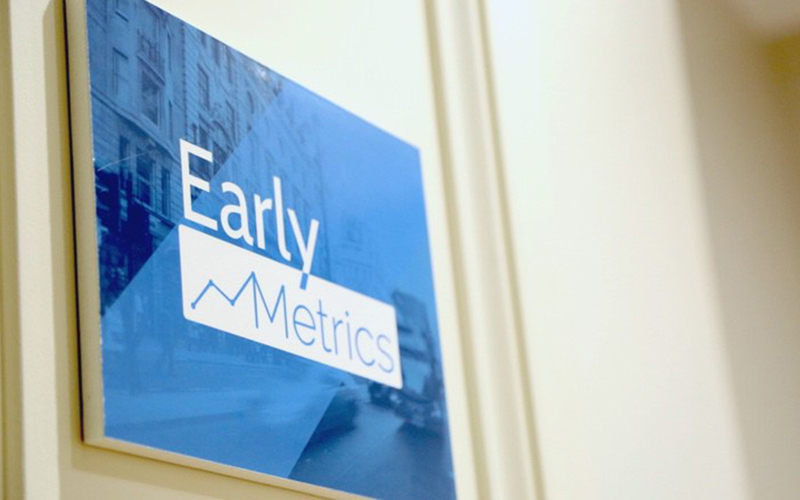 Together with an independent scientific committee, Early Metrics has developed a systematic and streamlined rating model. We assess 50 financial and non-financial metrics, focusing on three pillars: management, product/service and market. We evaluate the potential of growth of an early stage venture on behalf of investors and multinational corporations. We provide our clients with curated sourcing and screening, as well as rating on demand. As an independent third party, Early Metrics does not charge ventures any rating fees, guaranteeing that our opinion remains neutral and independent. Early Metrics is established in London, Paris and Tel-Aviv, and operates throughout Europe. Since 2014, we have rated 1400+ startups and scale-ups, and service over 130 clients in various industries, including VISA, HSBC, Airbus, Johnson&Johnson, LVMH and Renault. Our team is the backbone of our company and shares our vision of transparency for the startup ecosystem. Each team member brings to Early Metrics previous industry expertise, a highly analytical and critical thinking mindset, and a passion for promoting the most innovative ventures. We champion diversity and see every individual as an asset.